Apple has entered talks with the biggest cable operators in the United States in an effort to bring "live television and other content" to its set-top box, according to sources familiar with the matter, who have been speaking to The Wall Street Journal. While this represents the Cupertino company's most ambitious leap into the living room to date, it seems the operators may not be keen to play ball. It is believed that they are reluctant to give Apple a route into the TV business and cede control of the market in the same way record labels and wireless carriers have in recent years. Apple would also need to persuade significant numbers of consumers to buy a set-top box for what could be hundreds of dollars rather than rent one from their cable operators for $10 to $15 a month. Electronics makers such as TiVo Inc. and Samsung Electronics Co. already sell set-top boxes, so far without making a big impact on the market. 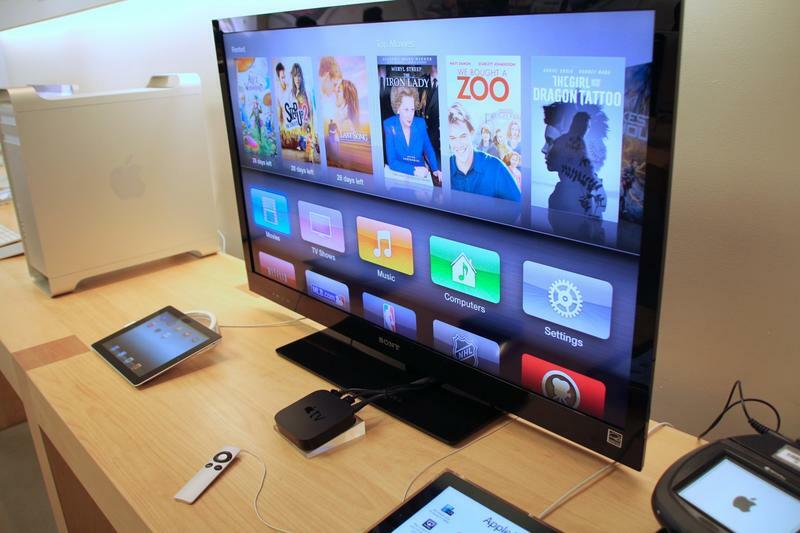 These talks seemingly confirm Apple's plans to enter the TV business in a big way. It has already tried to worm its way into the market with the $99 Apple TV, but for a device of this kind to really take off, Apple knows it needs live TV onboard. It'll also need to maintain a similar price tag to be a worthwhile purchase. Earlier reports had suggested that Apple would compete with operators and license content directly from the studios. In some ways, then, it may be best for the operators to reach a deal with the Cupertino company to avoid competing with it later on. Apple contemplated building a cable set-top box more than two years ago before it launched the latest version of its Apple TV, according to a person familiar with the matter. At the time, Apple's then CEO Steve Jobs was dismissive of the idea, believing working with cable operators was problematic because they didn't have national reach—each served only defined geographic territories. Another issue: entertainment companies own most of the content, not the operators, according to two people familiar with the meetings. Whether Apple will get its way with the TV operators remains to be seen, but it seems the much-anticipated Apple television could be a long way off yet.